Finest quality flexible construction. Non-corrosive PVC tubing and polyethylene net. Measures 21" across the base and 16" high. 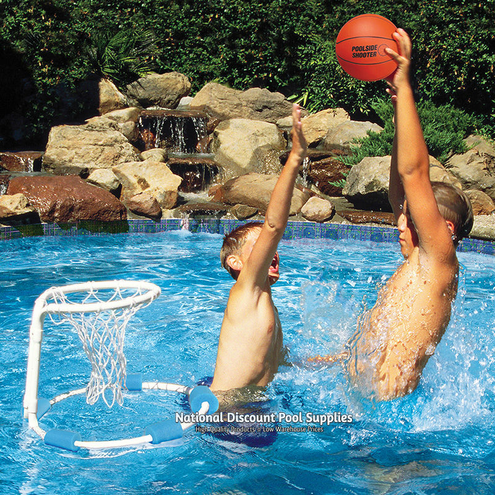 Includes 7.5" Poolside Shooter game ball.